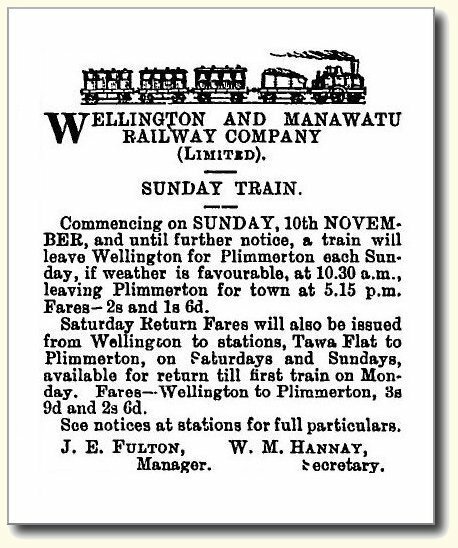 With anniversary and holidays the Manawatu and Wellington Railway offered cheap excursion trips to Plimmerton and Pukerua Bay. 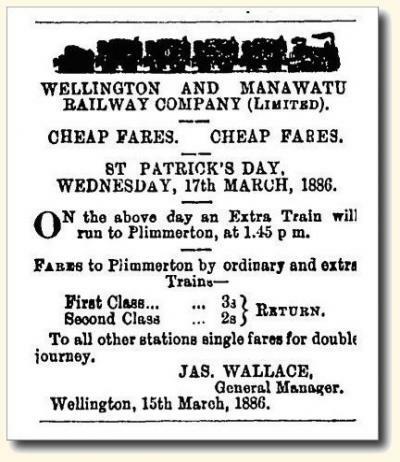 This one to celebrate St Patricks Day 1886. 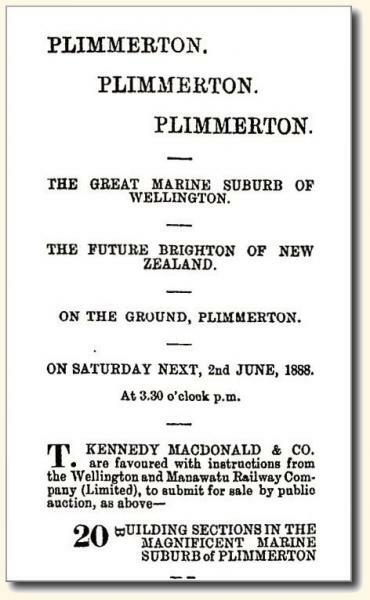 The opening of Plimmerton by the railway saw it become a popular destination and by 1888 sections were being offered as the ‘Future Brighton of New Zealand’. 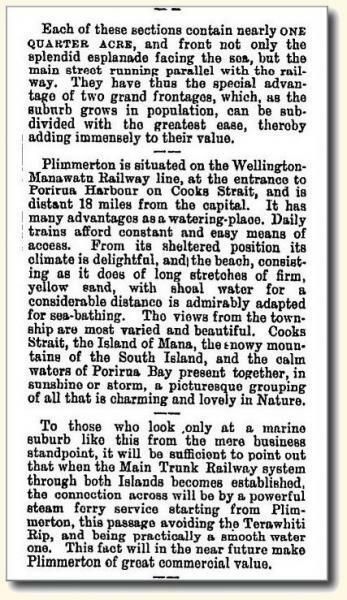 The Evening Post ran a series of articles advertising the sale of superb marine sections at Plimmerton, 2 June 1888. 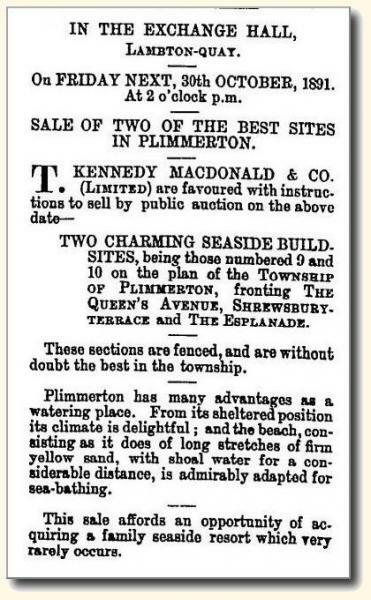 The sale of sections continues with lots 9 and 10 being offered by auction in October 1891. 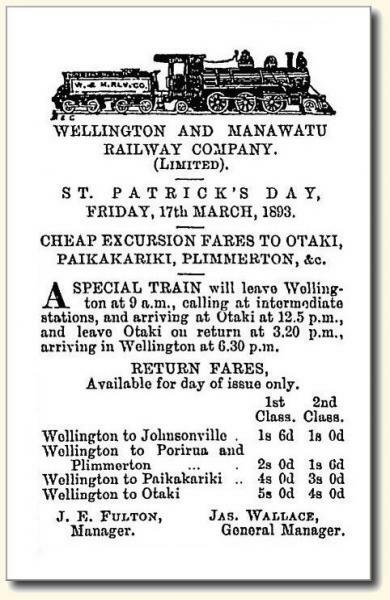 The advertisement featured in the Evening Post, March 1893, carried a new logo for the Wellington and Manawatu Railway Company and notice also the spelling of Paekakariki. 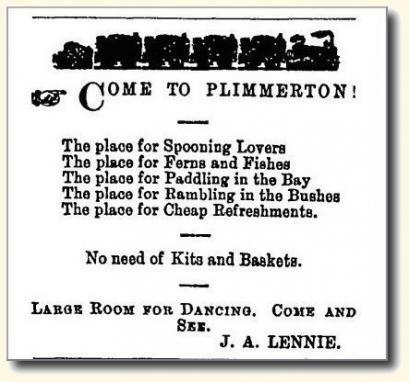 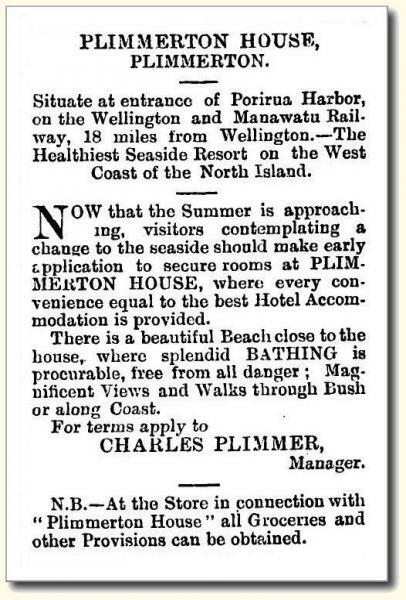 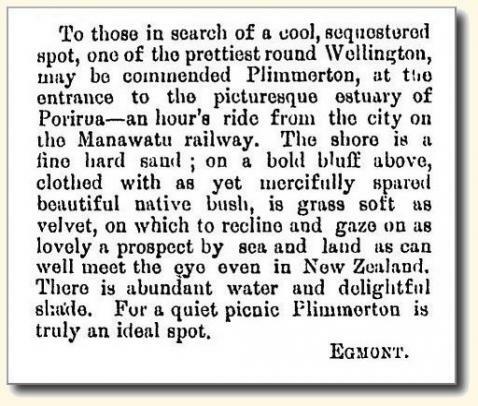 The summer destination of Plimmerton was highlighted with Mr Charles Plimmer advertising in the Feilding Star, October 1895, the opening of Plimmer House. 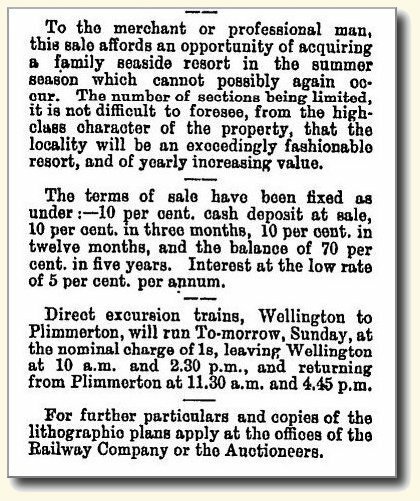 In 1895 Sunday fares to Plimmerton were advertised in the Evening Post.